Just as it is important to file income tax returns on time every year, it is equally important to avoid committing mistakes while filing the returns. Just as it is important to file income tax returns on time every year, it is equally important to avoid committing mistakes while filing the returns. 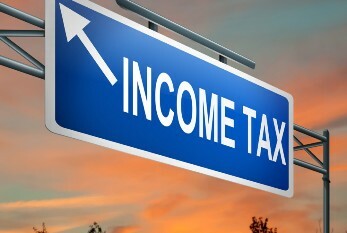 Let us look at few common mistakes committed by taxpayers and how to avoid them. Not reporting all sources of income: It is absolutely necessary to report all the sources of income earned during the year. Usually, taxpayers fail to report interest earned on savings bank account and fixed deposits. This can attract notice from the IT department if the income amount is substantial enough to attract tax. Also, if a person has changed job, he/she may fail to report income earned from the previous employer. If parents have invested in the name of a minor, it is necessary to disclose the income of the minor on such investments by clubbing it with the income of the parents. Not paying tax on house property: If you have an unoccupied house from which you earn no income, you may think that you are not liable to pay any tax as you are not earning any income from that property, so you don’t need to reveal this in your IT return. But this is not true. Even if you are not earning any income from your unoccupied property, you are liable to pay tax on such property. Not reporting exempt income: Incomes such as long-term capital gains, dividend income, etc, are exempt from tax, so you might think that there is no need to report them. However, even if these incomes are exempt from tax, it is necessary to report them to the IT department as brokerage house or the company will furnish this information to the IT department. Incorrect postal address and email IDs: A minor mistake in postal address or email ID can deprive the taxpayer from important notifications sent by the IT department, so it is absolutely essential to provide correct postal address and email ID to the IT department.